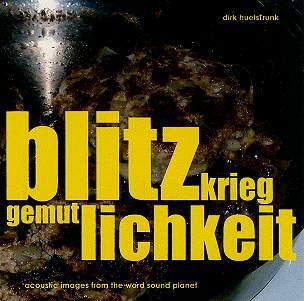 Blitz krieg Gemutlichkeit acoustic images from the word sound planet. sound is the universal language that no one understands. repetition is what everybody understands. press a button and dance to it. beat the book as you beat the drum. this is just a voice translated into bits. it tries to tell something. words are spoken. this is serious. no non-entertainment.